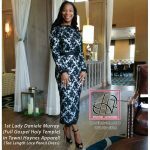 1st Lady Daniele Murray of Full Gospel Holy Temple Inc., Dallas Texas in Tawni Haynes Apparel! 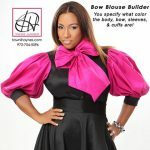 The Pleated Peplum Blouse with ruffle detail, & Tea Length Pencil Skirt is available in all colors and sizes! 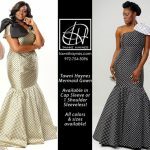 Special out fits classy but fashion forward for events coming up. 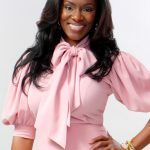 Thank you for contacting Tawni Haynes Apparel! If you are wanting to purchase any of our items, you can do so online or over the phone at 972-754-5096. We are located in Cedar Hill Texas so if you are local and want to come in, you can set an appointment with us. We look forward to hearing back from you. Until then, thanks and God Bless! 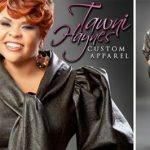 Thank you for contacting Tawni Haynes Apparel! We periodically post sales. When we do, they are advertised on our website and our Facebook page. Let us know if you have any additional questions. We look forward to hearing back from you. Until then, thanks and God Bless!